Jordan Harder, Daylen Pearson, and Joey Massingham gave the media the first look at the new uniforms. 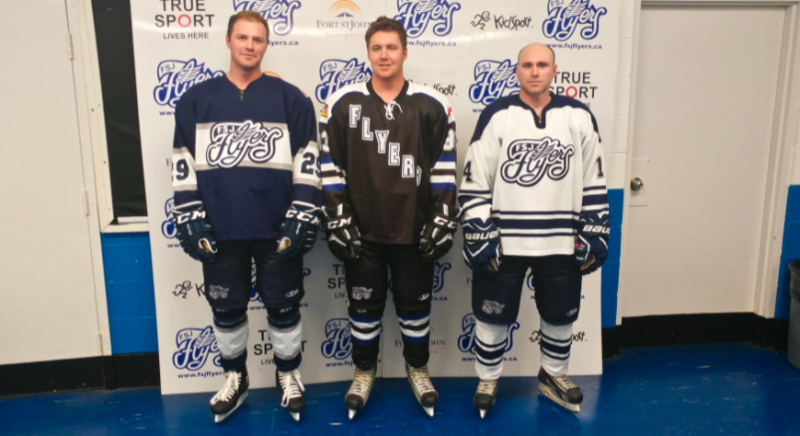 The Fort St. John Flyers had the pleasure of unveiling our new uniforms to the media and local fans last week. The new uniforms will include a patch of the 60th anniversary logo that can be seen on centre ice at the North Peace Arena. This season, the set of blue jerseys will be worn at home, the white jerseys will be worn for away games, and the black third jerseys will be worn sporadically at home throughout the season. These new jerseys come after 10 years of great success wearing the last set of uniforms, and the club is confident that the new additions will mark the beginning of a new era of success. As revealed earlier this year, the Flyers will be the host of the 2018-2019 Coy Cup at the North Peace Arena from March 26-30, 2019. 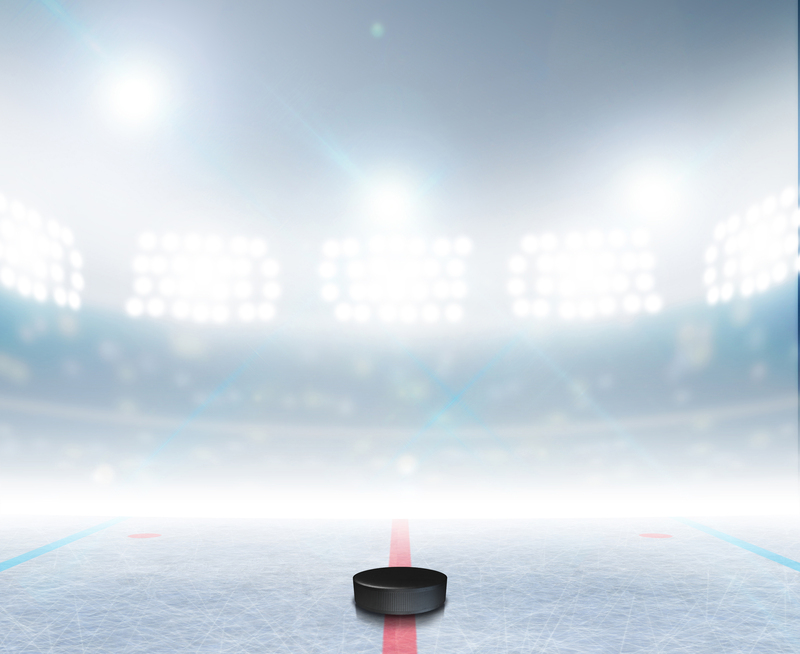 The tournament will consist of two round-robin games each day on Tuesday, Wednesday, and Thursday, followed by a semi-final game on Friday night and the championship final on Saturday night. Please contact us for more information on sponsorship and volunteering! Robbie Alexander played 15 seasons with the Flyers, as captain for 4 seasons and alternate captain for 6. During that time, he helped win 9 SPHL and All Peace championships. On Robbie Alexander Night during the Coy Cup, Rob’s #10 will be raised to the rafters alongside his brother Gary, Jimmy Anderson, and the late Rod Fonteyne. Thanks again to Rob and Donna for joining us for this exciting announcement! As always, stay tuned to our Facebook and Twitter pages for the latest Flyers news!